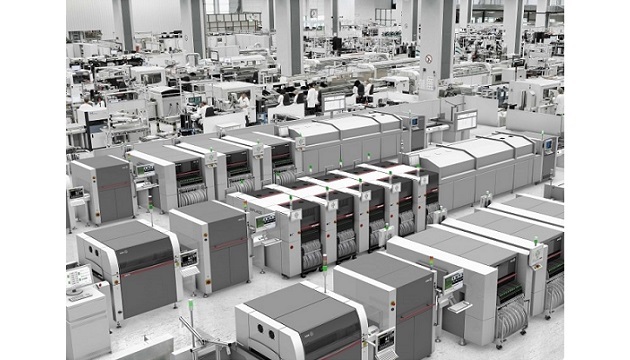 ASM, a pioneer of best-in-class solutions for printing and placement, will be exhibiting solutions for the integrated smart factory in the areas of hardware, software and services at SMTconnect 2019, at Nuremberg. Highlights at the booth and the two SMT production lines being exhibited will include DEK SmartStencil, ASM Command Center, and digital learning and maintenance tools from the ASM Service team. The central motto at the booth will be “ASM brings the integrated smart factory to life”. On a central control wall, ASM will demonstrate with its new ASM Production Planner and ASM Command Center that many tasks in a modern electronics factory can be easily run from a central control point. At two production lines (one featuring a DEK NeoHorizon printer with the ASM ProcessExpert and a SIPLACE SX placement machine, the other E by DEK and E by SIPLACE systems), ASM will present new features like the improved SIPLACE Odd-Shaped Component Package II and the new DEK Printer Programming. At the DEK NeoHorizon printer visitors can examine the new DEK SmartStencil, an RFID-based hardware and software solution for monitoring and managing stencil service cycles. The ASM Service portfolio will focus on the digital transformation and present VR solutions for easy maintenance as well as the ASM Learning Management System for the mobile training of line staff and engineers.